Disney confirmed today the official grand opening date for the new Rivers of Light evening show in Animal Kingdom. In accordance with celebrating Animal Kingdom’s birthday and Earth Day, the park will officially launch Rivers of Light on April 22, 2016. 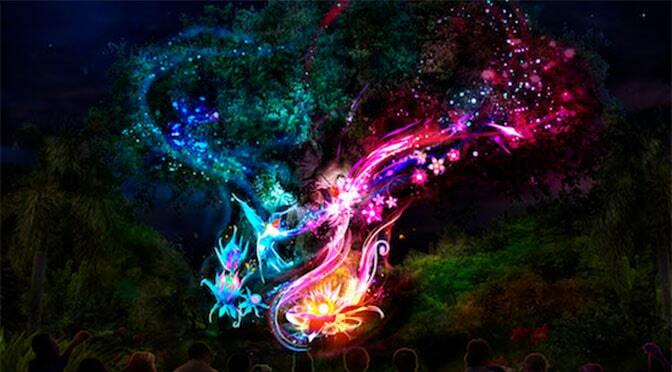 “The show, set on Discovery River in the Asia section of the park, will depict an ancient lantern festival guided by two storytellers who call forth four animal Spirit Guides: an Asian Tiger, Tropical Turtle, African Elephant and Great Horned Owl. These Spirit Guides return at different points during the show to lead the audience through their journey through the Rivers of Light. Hey, Kenny! Trying to make September plans…do you think Rivers of Light will be a nightly occurrence? We will be there on Aug 11th do you know if this show along with extended hours will still be going on or is this a limited time event? Kenny, this has nothing to do with Disney, but I was just talking to my family about this, this a weird question but I would like to know what you think. How old do you think I am? I can’t wait! I am so excited. I’m also looking forward to the new land of Pandora! Our family, including grandchildren will be going to Disney World this coming May and we will be able to see this. Thanks Kenny this made my day!! I’m going to be there on that weekend! Also, Kenny I am planning to go to Animal Kingdom on Earth Day #Florida Resident because of the random/rare characters that appear, if you had to guess which characters would appear. I know Jiminy has appeared in the past. I see that AK is open until 8:00 pm in June. Do you think they will extend the hours in July and August as well? Are there show times yet? It didn’t say. But the park closes at 6:30, so the show will probably around 6:30. But the weird thing is that the sun sets is at 7:56 (8:00). So I guess the sun will be out during the performance. Awesome! Just in time for our May visit! Do we have a time for the show? Thanks for all the updates! Love getting these emails! Do you know anymore about the possible dinner package at Tusker House and the reserved seating for River of Lights?